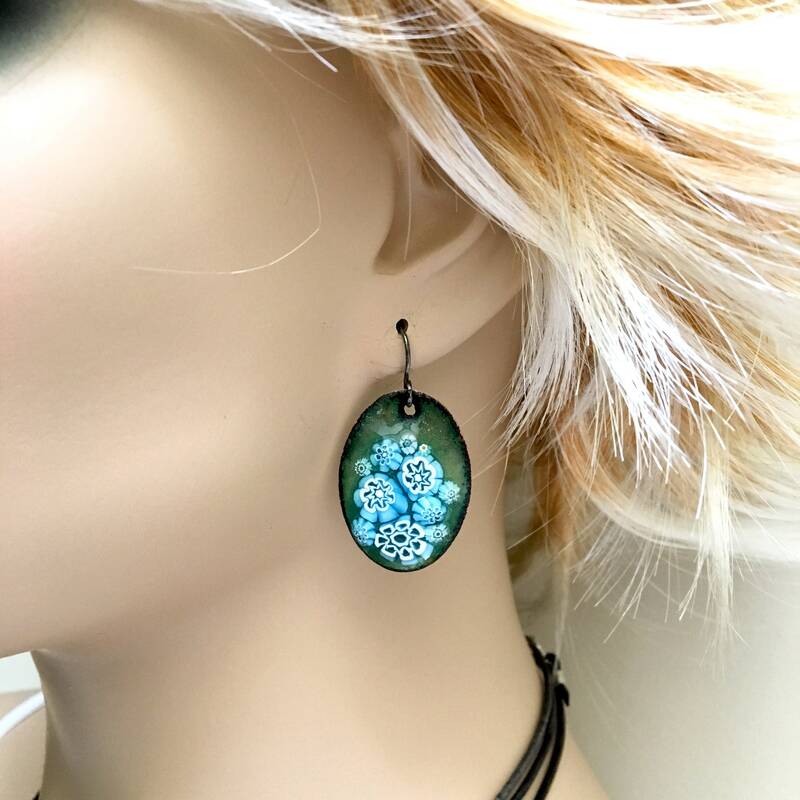 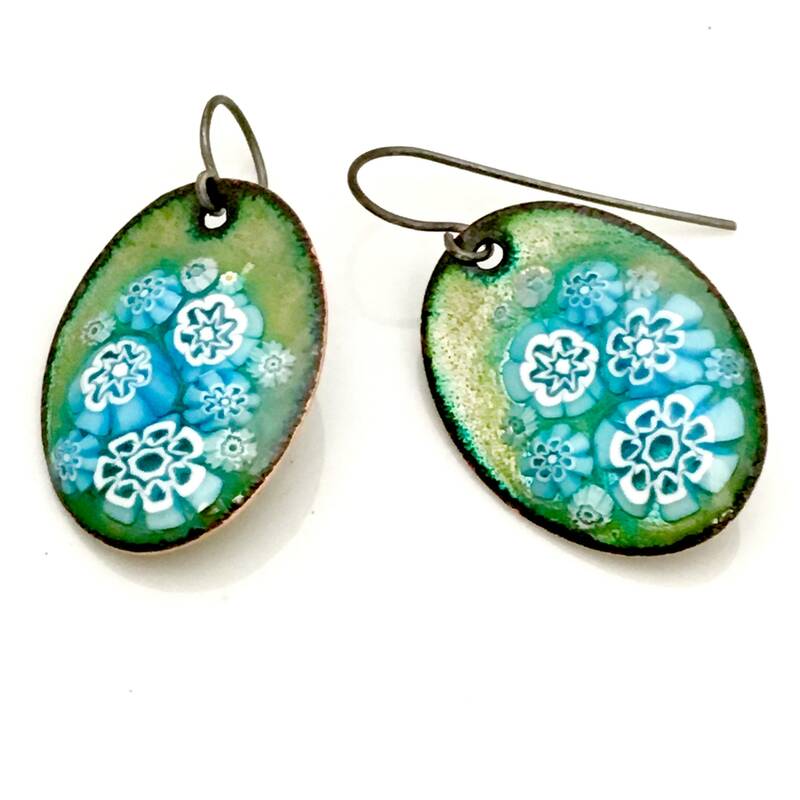 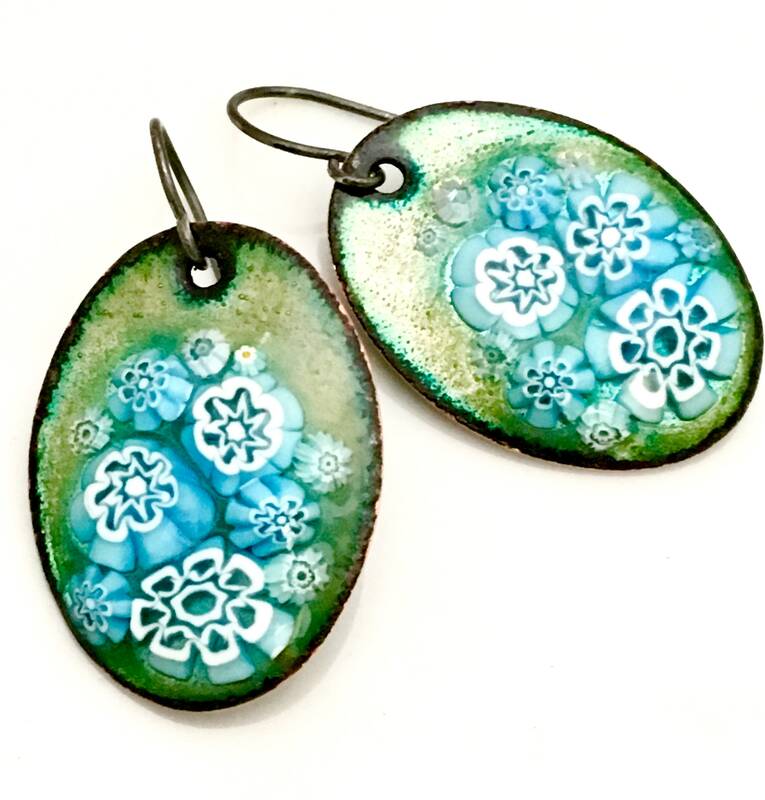 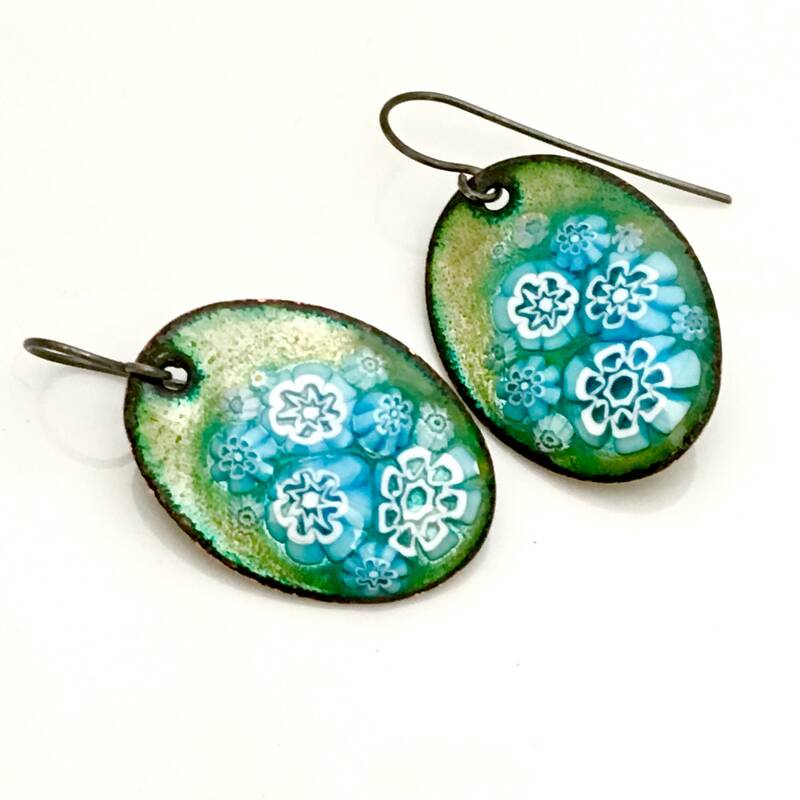 Blue & white copper enameled earrings with a flower design are ovals that dangle from handmade oxidized sterling ear wires. 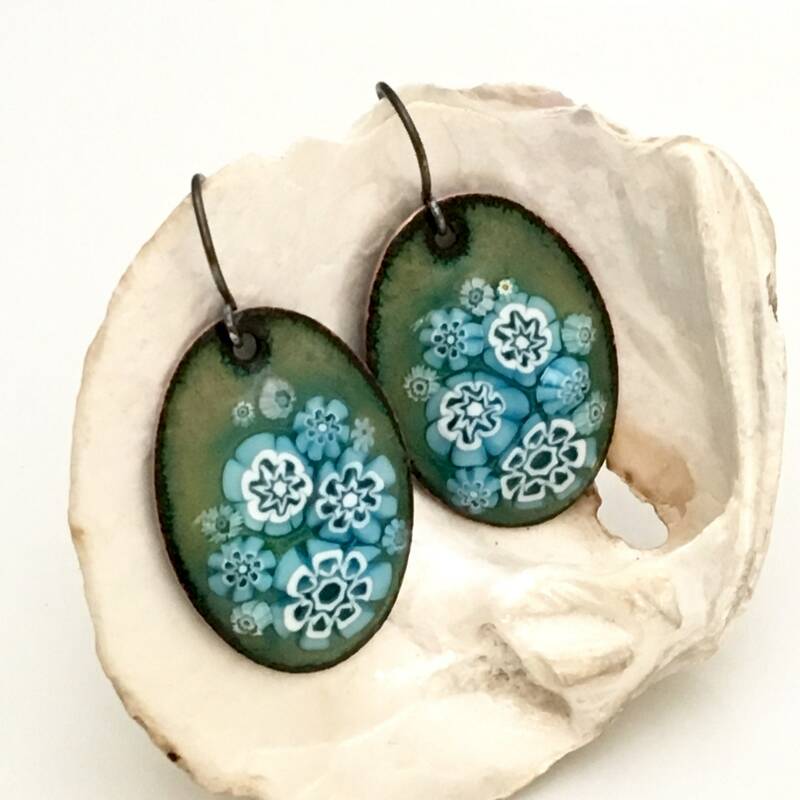 Featuring a boho feeling, these one of a kind earrings are artisan handmade originals, ready to mail & to give. 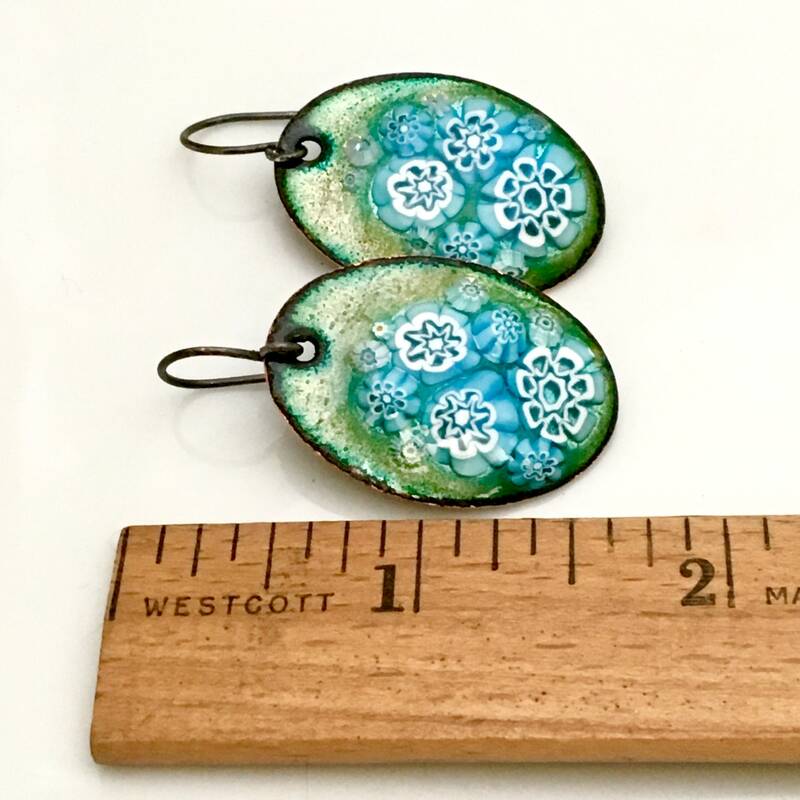 Total earring length from the top of earwire is just over 1 5/8” (40mmm) and they measure 7/8” (22 mm) in width. 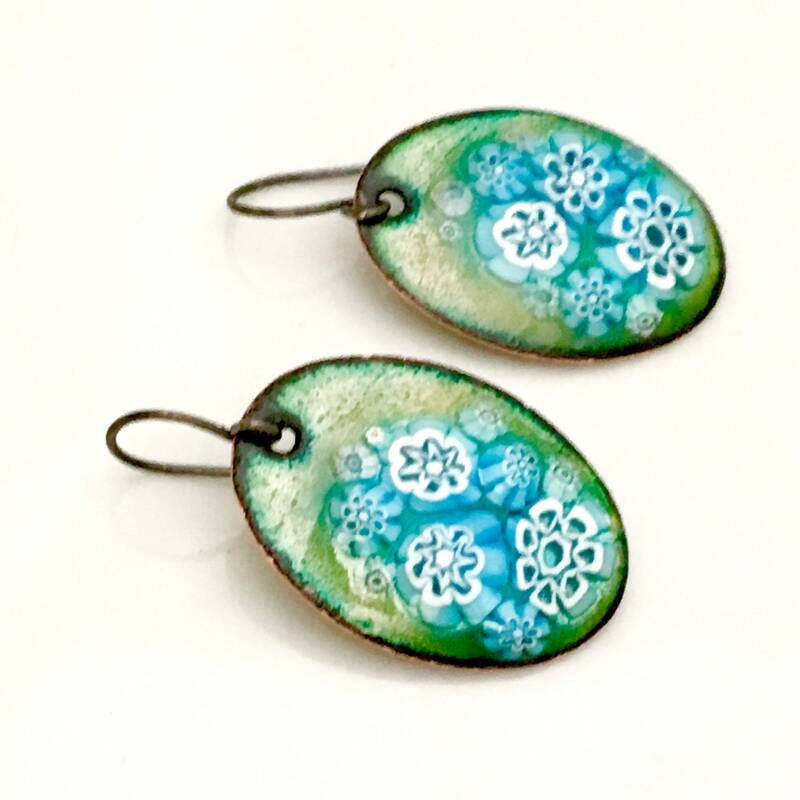 The backs of the little "glass paintings on copper" are counter-enameled with a dark bluish green enamel. 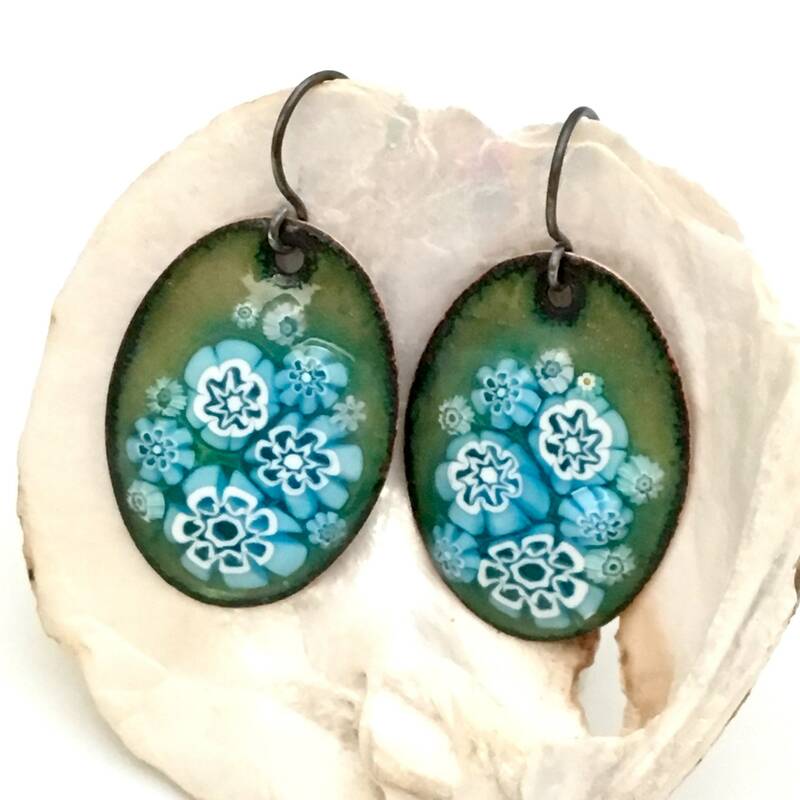 OR click my header at the top of this page to stay in my shop on Etsy.